workshops to build kites, fly them and use them. Workshops can be for learning (STEAM classes or team building), for fun (parties & festivals), for team building workshops with corporations, or for connecting with the Divine (youth groups, church conferences, retreats). Workshops for school clubs, math or science classes,or after-school activities provide an opportunity to "get out and play!" The Eddy kite and simple light wind kites are good kites for groups who do not need any in-depth help. The Eddy kite is a great flyer that requires only a mile and hour wind to fly and others like the done above, hardly need any wind to get airborne. Maneuvering these kites has probably made me think more of my relationship with the Divine than any other type of kite. Need a workshop at your church or youth group? Let me help you explore this unique spiritual aspect of your life. Single-line manuverable kites can be light enough to fly indoors or strong enough to fly in 15 mph winds. 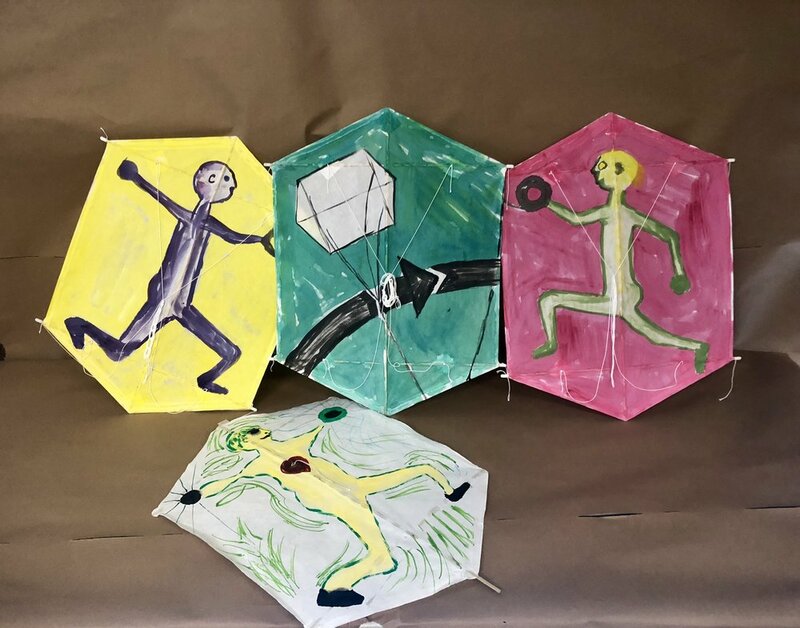 Applying science, technology, engineering, arts, and math allows students the opportunity to use their science and math skills to build and fly kites. Their artistic skills and creative writing skills help to decorate and explore their experience. A kite is a great avenue for discussing materials sciences, aerodynamics, weight and balance, even algebraic equations in the process of determining how much wind a kite needs to fly or to lift a payload..
A box kite can take awhile but it provides a good challenge plus the opportunity for collaborative work. The ones pictured here were made this year and are single-cell boxes. Those circles are quarters. These are miniature kites, and they delight people young and old. Rokkaku kites are Japanese kites (Rokkaku means hexagon). These are made from Washi paper and bamboo and decorated with acrylic paints. 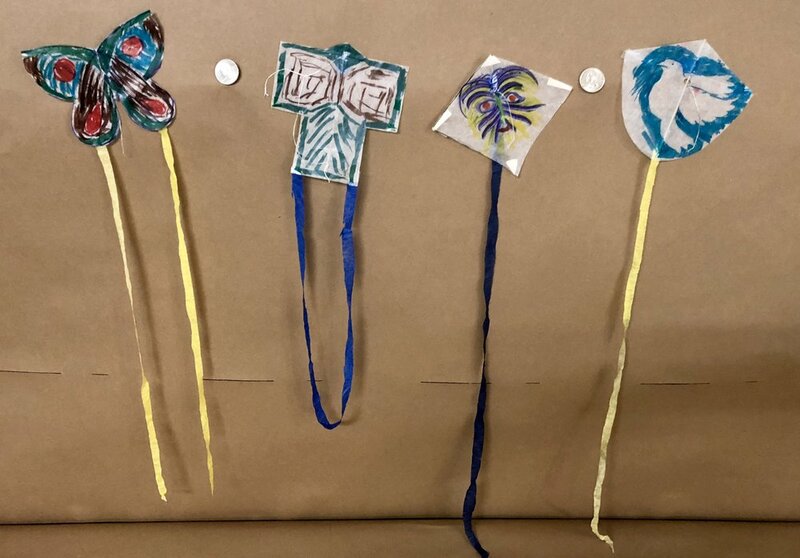 They are great adult workshop kites! A Hishi Kite id slide Japanese, and this one I also made with Washi paper and bamboo. Another good adult kite, it flies well in light to moderate windspeed (5-20 mph). This a is bird kite designed by kite-maker Robert Brasington of Tasmania. It flies well in a wide wind range. It is also made of Washi paper and bamboo. Delta kites come in many forms. Here is one made to look like a bird. 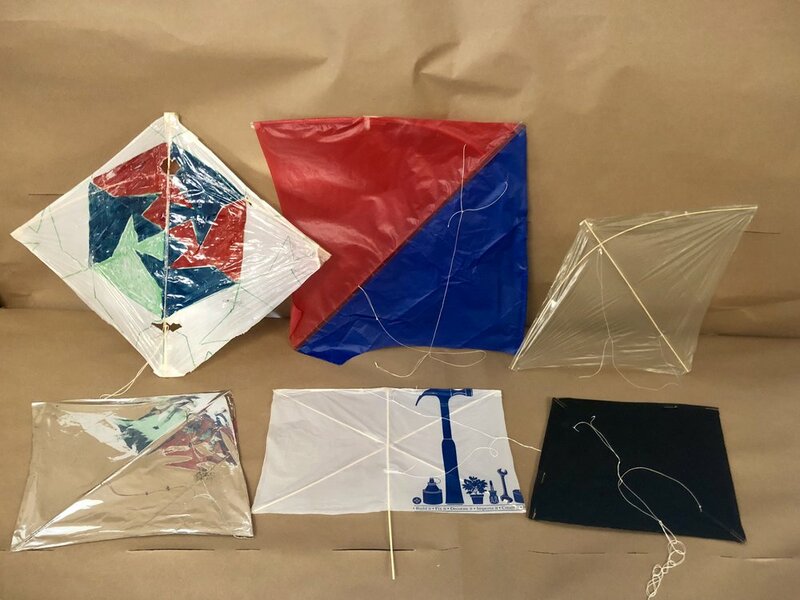 A school group whose objectives include birds and flight might consider using this kite form in their workshop.